Thanks to the new whale watchers bar, the views at Sandos Finisterra Los Cabos just got even better. We just opened the Whale Watchers Bar, featuring unbelievable panoramas of the Pacific Ocean. Large windows face out over the water from the bar’s interior, with modern style, cozy sitting areas and WiFi. Designed with adults in mind, it’s the perfect place to spend an afternoon surrounded by the beautiful landscape of Cabo San Lucas or an evening with friends and family. You can also enjoy your drinks out on the spacious terrace while gazing out on views of the resort and the Pacific waters beyond. In the winter season, you might even see some whales migrating by Los Cabos! It’s not called the “Whale Watchers” Bar for nothing. If the drinks, views and atmosphere weren’t enough, how about a round at the pool table? 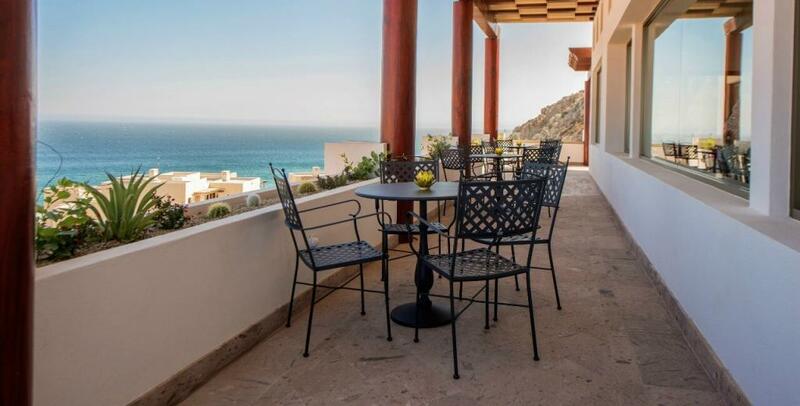 During your next vacation at Sandos Finisterra Los Cabos, take the elevator up to the top of the cliff and spend an unforgettable evening at the Whale Watchers Bar. Can’t wait to have a margarita, or two, or three here with these views. Celebrating our anniversary will be even more perfect when we visit in June! See you here in June, Aaron! Hope you enjoy the views as much as we do. Thanks Lisa! We’re pretty excited about it, too. See you soon!